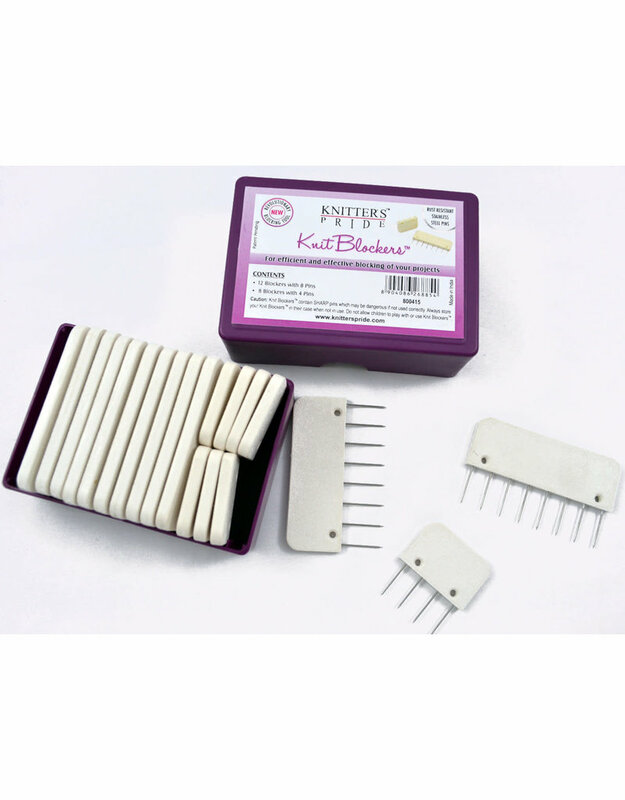 Pack of 20 Knit Blockers (12 Knit blockers having 8 pins & 8 Knit Blockers having 4 pins) for efficient and effective blocking of your projects. 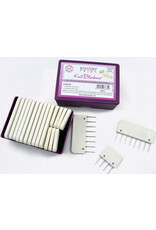 The design helps maintain even tension across the width of the blocking pins. Ideal for blocking straight edges like sweaters, shawls and scarves, or in conjunction with Knitter's Pride Blocking Wires. 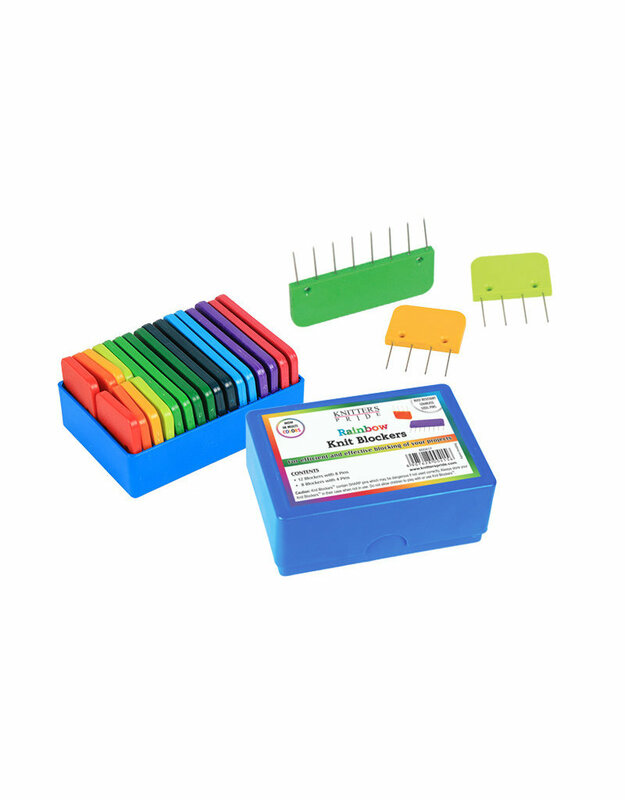 Made using tough plastic with embedded sharp, sturdy & rust resistant stainless steel pins.